Moorlands Custom Cabinets are based in Leek in the heart of the Staffordshire Moorlands. Staffordshire is a county long established for creativity and traditional workmanship. All of our products are handmade in our dedicated workshop facilities. We always welcome visits to our workshop, by appointment, so that customers can see first-hand the effort and the attention to detail that goes into our products. Our reputation is in bespoke kitchens Leek & bespoke kitchens Staffordshire. 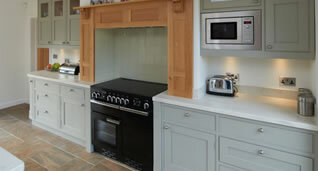 At Moorlands Custom Cabinets we offer bespoke handmade and finished products at affordable prices. We can make a variety of products ranging from kitchens, bedrooms, vanity units or any other type of furniture you require. We can create free standing individual pieces as well as fitted furniture ensuring we deliver exactly to your specification. All types of wood, finish and paint colours can be tailored to your exact needs. We pride ourselves on high quality workmanship, customer satisfaction and our unrivaled attention to detail. We welcome enquiries of any kind no matter how big or small. Our projects range from small, single free standing items all the way to fully designed and hand crafted kitchens. We really can handle any request that you may have. Should you require a quotation or some impartial advice, please contact Moorlands Custom Cabinets. How much are our Bespoke Kitchens? Please contact us today to organise a quotation. You will be amazed how competitive we are. We may not have a stunning showroom, but this means that our handmade kitchens & furniture are more affordable. 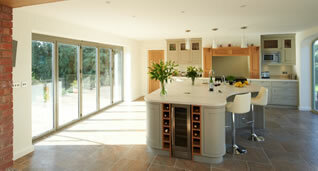 For a honest experience and reliable service, please get in touch with Moorlands Custom Cabinets.